Little is known about mental health problems among newly arrived Syrian refugees in the US. It is important to determine the prevalence of common consequences of exposure to trauma and high stress, and provide needed interventions, as these conditions if untreated, can be detrimental to mental and physical health. 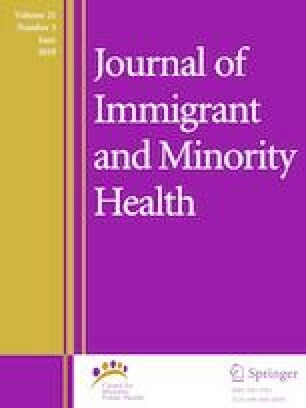 Adult Syrian refugees (n = 157, 47.1% women, 52.9% men) were screened at one-month mandatory primary care health visit for Posttraumatic Stress Disorder (PTSD), anxiety and depression using PTSD Checklist, and Hopkins Symptoms Checklist. Prevalence of possible diagnoses was high for PTSD (32.2%), anxiety (40.3%), and depression (47.7%). Possible prevalence of depression and anxiety were higher among women, but there was no gender difference for possible PTSD. We found a high prevalence of possible psychiatric disorders related to trauma and stress among Syrian refugees newly resettled in the US. Due to the high prevalence and feasibility of brief screening tools in primary care facilities, we recommend mental health screening during primary care health visits for resettled Syrian refugees. This study was supported by a grant from the State of Michigan (Lycaki/Young funds) in collaboration with Detroit Wayne Mental Health Authority and Behavioral Health Professionals, Inc. We highly appreciate the great collaboration and support of the Arab American and Chaldean Council that led to success of this study. We also thank Israel Liberzon’s generous help and advice in design of this work, and Farah Alani, Suzanne Manji, and Samantha Sonderman of Wayne State University for their critical participation in data collection and management.